Sunday 18th May 2014 – 2.20pm – Jamie Arrowsmith. The driver of a car that came to rest on its side after colliding with a lamppost in Birmingham this morning had to be taken to one of the region’s major trauma centres. West Midlands Ambulance service was called to the incident in Pegleg Walk, Walkers Heath shortly after 9.25am and sent an ambulance, a paramedic area support officer and a community paramedic in a rapid response vehicle to the scene. 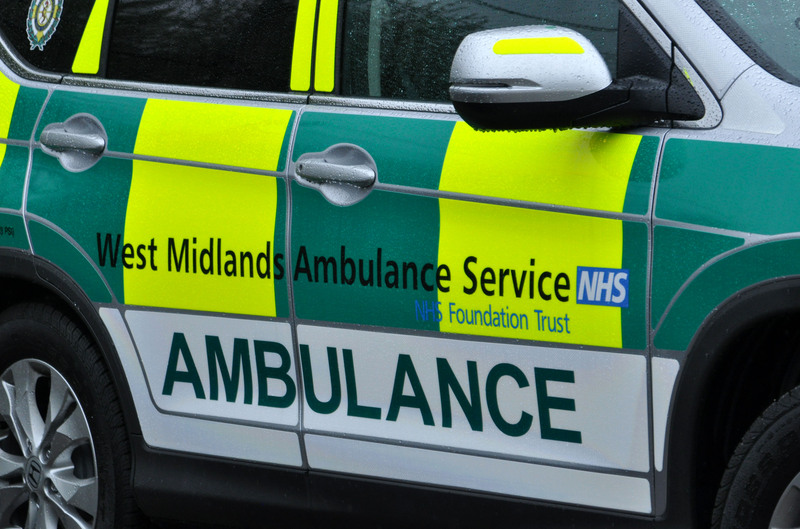 A West Midlands Ambulance Service spokesman said: “On arrival, crews discovered a car that had come to rest on the passenger side and one patient who had managed to free herself from the vehicle. “The woman, who is believed to be in her 40s and was the only person in the car, was assessed by crews and immobilised as a precaution. “Once her condition was stabilised she was treated for chest, rib and arm injuries before being transferred on alert to the Queen Elizabeth Hospital Birmingham. Previous Entry Sunny and 21 degrees. It sounds lovely out there today. Please enjoy the wonderful West Midlands, but, like the Scouts say; be prepared.